As you know, a few days ago the European Commission unconditionally authorized the Microsoft/Nokia deal. I’m looking forward to reading the decision, which isn’t yet public. Whereas I expect to see nothing odd in there, a doubt did spring to mind when reading the press release last week. “The Commission considers that any possible competition concerns, which might arise from the conduct of Nokia, following the transaction, in the licensing of the patent portfolio for smart mobile devices which it has retained falls outside the scope of the EU Merger Regulation. The Commission cannot take account of such concerns in the assessment of the current transaction. Indeed, Nokia is the seller whereas the Commission’s investigation relates to the merged entity. 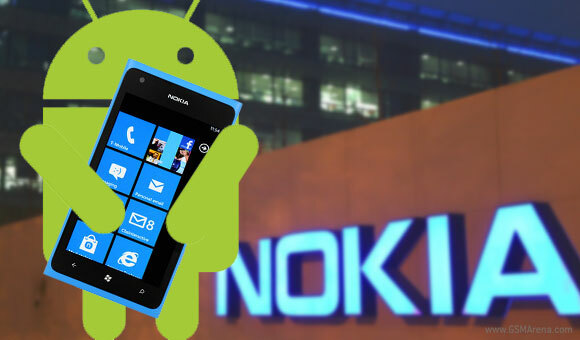 However, the Commission will remain vigilant and closely monitor Nokia’s post-merger licensing practices under EU antitrust rules, in particular Article 102 (…)”. (Emphasis added). Please correct me if I’m wrong, but isn’t that a wrong/arguable over-simplification? (although, to be sure, it wouldn’t be a crime for a press release to over-simplify). Does merger control really relate solely to the merged entity to the exclusion of other actors in the market? Isn’t it rather about the effect that the transaction may have on the structure of the market? I mean, can’t the Commission assess the effects that a concentration would cause on the market power of parties to the transaction as well as on that of third parties? Perhaps the press release only intended to refer to the Commission’s remedial powers, and not to its assessment powers, but even assuming that, the short explanation may be incorrect. Although infrequent, third party post-merger conduct may be potentially relevant in deciding a case. Look, for instance, at recital 25 of the horizontal merger guidelines “under certain circumstances, concentrations involving the elimination of important competitive constraints that the merging parties had exerted upon each other, as well as a reduction of competitive pressure on the remaining competitors, may even in the absence of a likelihood of coordination (…) result in a significant impediment to effective competition”. Don’t get me wrong: I’m not challenging the outcome of the Decision (it seems prima facie reasonable for the theory of harm at issue in that case to be monitored ex post), but, in my view, the explanation would have had to do with “causality” (à la Tetra Laval or GE/Honeywell), not with the scope of merger control. Perhaps this would seem to make no practical difference in principle (as we’ve learnt recently, in real life ends justify means, and reasonings aren’t really worth paying attention to), but inconsistencies in the formulation of policy positions might eventually come at a cost. P.S. Following the advice of some of you, last night I created a Twitter account: @LamadridAlfonso; it’d now be nice to know how to use it and what for! At Chillin’Competition we have paid considerable attention to a number of IT-related competition developments, and –like most other followers of these matters in Europe and elsewhere- we have shown predilection to comment on the pending EC investigation over Google’s search practices. Nicolas, Pablo Ibañez-Colomo and myself have devoted tenths of posts to offering our –often conflicting- views on a number of issues raised in that case. We –or at least I- had until now not really paid attention to the more recent FairSearch complaint regarding Android, and this despite the repeated warnings of Enrique Colmenero (our new associate and a geek who knows a bit about Android (he says not sufficiently well, I say it’s unbelievable), who was also the real author of my Google ppt), and who kept on telling me that the allegations in this complaint merited some public discussion. I first looked into it last week while writing the post about Skype’s integration with Windows, and realized that he’s right. Given that all things Google raise the number of visits to the blog and spur more debate than other topics, we’re decided to comment on this yet non-case. We devoted a weekend to writing our preliminary views, and since the result is fairly lengthy we’ll be breaking the discussion into three separate posts: Today we will provide some background and deal briefly with market definition issues. Tomorrow we’ll discuss the predation claims. And Monday we’ll address the bundling allegations. Before getting into substance, four disclaimers are necessary. The first is that by myself I wouldn’t have had the required technical knowledge to comment about this, so I’m borrowing Enrique’s (any errors, however, are only mine). The second is that we are not working for any party interested in this case and therefore comment on the basis of publicly available info (for fuller disclosure, some time ago I had two chats with someone on the complainants side as well as with someone working for Google; in both cases they let me know their views on the complaint). The third is that since we don’t want this blog to be a place to discuss cases in a seemingly one-sided way (much less when they are ongoing, like this one), we’ll be happy to open this platform to anyone willing to reason any disagreement with the opinions provided below. We don’t intend to defend a given position, but to reflect on issues that interest the antitrust community, and we are more than open to be persuaded that what we say is wrong. The fourth is that even if now criticize a complaint lodged by Microsoft FairSearch in the past we’ve also heavily critized complaints targeting Microsoft, like this one. Back in April the anti-Google alliance FairSearch (in this case only two of its members Microsoft and Nokia [Note: after I was done writing this post I learnt the news that Microsoft is acquiring Nokia’s mobile business] seem to have a real interest in the case) lodged a complaint with DG Comp alleging: (a) that by giving Android to device-makers for “free” Google engages in predatory conduct (making it difficult for rivals to recoup the investments made in developing competing mobile operating systems; and (b) that “phone makers who want to include must-have Google apps such as Maps, Youtube or Play are required to pre-load an entire suite of Google mobile services, and to give them prominent default placement on the phone”. Click here for FairSearch’s Press Release. Rumor has it that the Commission recently sent out requests for information in relation to this complaint. In our view, this complaint can only be properly understood once one is aware about the existence of essentially 3 different business models for mobile operating systems (OSs). One is Apple’s vertically integrated model (iPhones run on Apple’s own iOS), another is Microsoft’s licensing model (OEM’s wishing to have smartphones running on Windows have to pay for a license), and the third is Android’s free software model (Android is distributed for free under a an open source license which enables licensees to do whatever they wish with the code), which has also been the model adopted by all new market entrants (Ubuntu, Firefox OS, Jolla’s Sailfish or Tizen –backed among others by Samsung and Intel-); Nokia’s Symbian (the market leader until 2011, now maintained by Accenture) was always and is also open source. Manufacturers that are not vertically integrated at the OS level like Apple or Blackberry had to find a competitive OS, there being, until now, essentially two reliable options: Microsoft’s Windows (which they had to pay for), and Android (which OEMs obtain on a free-license basis; even if they have to pay some royalties….to Microsoft! ; some even say that Microsoft makes more money from Android than from the Windows mobile OS). Not surprisingly, the market tends to favor the open source model and, quite logically, Microsoft doesn’t like that (you’ll recall that it also “had issues” with open source OS for PCs). It’s against this background that the complaint comes, in what some see as an attempt to reverse the course of the business model that is proving most successful. On market power/dominance as a pre-requisite. Every press-clip citing FairSearch’s allegations refer to the claim that Android enjoys a market share of 70%. This is a bit equivocal. In reality, the fact appears to be that 70% of smartphones (leaving tablets, led by Apple, aside on the assumption that they belong to a different market) shipped in the last quarter of 2012 had Android. And in reality, usage market shares appear to show a duopoly of iPhones and Android phones (see here or here) rather than an Android monopoly; moreover, revenue-baded market shares clearly tilt the balance in Apple’s favor (as explained here) [As to the future trend: Android is certainly doing spectacularly well lately, but we bet iPhone sales will increase once Apple abandons its (rather Steve Job’s) exclusive-good marketing strategy, which is very profitable (see previous hyperlink) but has costs in terms of market share. Android phones sell very well, among other reasons, because they are often subsidized by operators; iPhones on the other hand have traditionally been quite costly. The moment iPhones are cheaper Apple’s share should increase significantly] So, in reality, Android seems to face rather intense competition from Apple’s iOS, Windows, Blackberry; even its main customer (Samsung) has also developed its own OS Bada/Tizen (it also “multi-homes” by licensing Windows for some devices). Against the background of what would appear to be a competitive smartphone market, the way to come up with a monopoly-like share would require 1) to distinguish separate markets for tablets (where Apple is the leader) and smartphones; and 2) to also take Apple and Blackberry out from the smartphone-only calculation by defining a relevant market for licensable mobile OSs, which intuitively seems a bit of a Procrustean move. More importantly, forget about market shares for a second. The truly relevant question is: does Android enjoy significant market power? Can it profitably raise prices or decrease output or innovation? Because Android is OpenSource/FreeSoftware (obtainable for free, its source code is entirely disclosed, it can be freely modified/”forked” [see here for “what the fork is forking”?] and appropriated by third parties: just look at Replicant, CyanogenMod, MIUI or at Amazons’ Kindle) we don’t see how Google would be able to exert market power in any way. Even Microsoft and Nokia could take Android and do what they please with it (they could even try to fork/improve it and compete with Google). Actually, could we even say for sure that there is a “market” for licenseable OSs when all licenses (except Microsoft’s) are FreeSoftware licenses? Moreover, and as regards innovation, there are very few markets with innovation cycles as fast as the one for smartphones’ OSs having featured a number of leaders in recent years: Palm, Symbian, iPhone, Blackberry and now Android. And this is because given the prevalence of FreeSoftware barriers to entry are extremely low. The moment someone comes up with a more innovative (better) product (including an improved version of Android unrelated to Google), Google would also lose its current lead. But, for the sake of discussion, let’s assume that Android is dominant and look at the theories of harm, which bring up some interesting issues In our second post we’ll discuss the predatory pricing claims, and in our third post we’ll deal with the bundling aspects of the case. The news appears to have surprised many, who have publicly wondered whether Microsoft is actively looking for antitrust trouble (see notably here, here, or here). And, of course, given my involvement in Skype-related competition matters, when I returned from my summer holidays I had a good number of emails from students, journalists, lawyers, friends and even family who were sending me the news and asking for an opinion. Since it would not be practical to reply to all those emails separately, I have decided to do it here. [A disclaimer first: as frequent readers of this blog know I represent the two companies who chose to challenge the Commission’s decision authorizing the Microsoft/Skype deal. This means that I certainly am not an impartial observer, but it does not mean that the views set out here are to be attributed to my clients or my firm; they are exclusively mine. These views also refer to a conduct which is post-decision and therefore not the subject of the pending case]. My first comment is: Did anyone really not see this coming? During the past few months Microsoft has pervasively integrated Skype with most of its products. Skype is now closely integrated with, for instance, Office, Office 365, Outlook, Outlook.com (formerly Hotmail), Windows Phone 8, Xbox, Lync (as announced only minutes after our Court hearing ended), and it was only a matter of time that it would come pre-installed in Windows. In the meanwhile, Skype’s only meaningful competitor in the consumer world (WindowsLiveMessenger) has disappeared and its users have been migrated to Skype. As a result, Skype’s user base has skyrocketed since the merger (going from approx. 150 to over 300 million unique monthly users), and rapidly growing. Microsoft’s decision to bundle Skype pervasively with other Microsoft products, including – as just announced – Windows, may actually have come as a surprise to the European Commission. In its Microsoft/Skype decision, the Commission concluded that Microsoft would not have the incentive to tie Skype to other Microsoft “leading/dominant” products (e.g., para 155). No kidding. Now let’s cut to the chase, can the integration of an application with a dominant operating system run afoul of the competition rules? In the light of the spirit and the letter of the Microsoft’s 2004 infringement decision, the 2007 Microsoft Judgment, the 2009 Microsoft commitment decision, Skype’s integration with Windows would likely raise some antitrust flags (notably concerning the market for video calls, given that currently over 3 out of 4 video calls are made using PCs). As you know, in all of those precedents, the Commission and the General Court observed that pre-installation resulted in an unparalleled distributional advantage that could not be offset by the downloading of competing applications. The Microsoft/Skype 2011 decision, however, arrived at exactly the opposite conclusion. The comments voiced out in the past few days in the media seem to have overlooked the fact that the Microsoft/Skype Decision – despite denying Microsoft’s incentives to tie Skype to its products – did actually address the possibility that Skype could be tied to Windows, and that it ruled out any competition concerns. The Decision acknowledged that pre-merger Skype was already present on approximately 60% of Windows PCs pursuant to agreements with OEMs, but alleged that there was data -not cited- showing that in practice pre-installation resulted only in a small share of Skype users (para 162). In other words, the Commission considered that pre-installation does not offer that much of a competitive advantage because users could easily and freely download Skype and other competing applications. Query: does anyone see any inconsistencies between the Commission’s approaches to downloading? The Commission is certainly entitled to change approaches, but since the reasons for this change were not set out in the Decision, it’s difficult to identify with clarity what the Commission’s current approach to pre-installation vs. downloading is. If you want to play more “find the differences”, try comparing the Commission’s prospective analyses and approaches to technical tying/bundling (and, for that matter, to interoperability degradations too) in Intel/McAfee (2011) and Microsoft/Skype (2011). As you may remember, back in April the FairSearch coalition (led in this case by Microsoft and Nokia) lodged a complaint against Google arguing that Google is abusing Android’s alleged dominance in the market for mobile operating systems by bundling certain “core Apps” with its operating system. 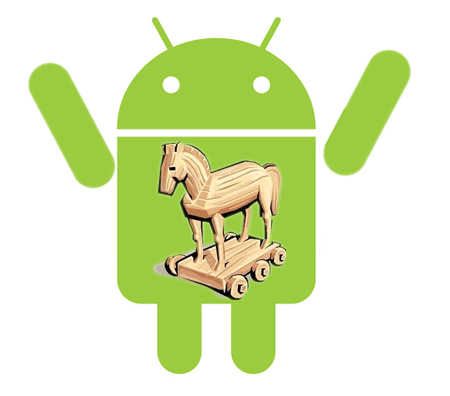 [The way I see it, in the case of Android the dominance and the bundlling are much more doubttful, but that is another story, and one interesting enough -I’ve just realized- to deserve some specific comments in the coming days]. So, in one case Microsoft is claiming that the pre-installation of Google apps on Android phones constitutes an abuse of a dominant position in the market for mobile OSs (no matter if users are free to download any competing application; btw, Skype for Android has no less than 100 million users! ), but, at the same time, having Skype pre-installed in the dominant PC OS poses no problem (precisely because users are free to download other applications). Anyone else sees any issue conflict? His words were “someone should one day write on a blog the story of competition cases that could have had a significant impact on the law had they not been withdrawn”. Since the number of competition law bloggers is not that high (even though it’s rapidly increasing…), and since I was the addressee of the message, I sort of got the point. Actually, I very much like the idea of writing about cases that never were or, rather, that never will be. There are a few candidate cases to be discussed; a non-exhaustive tentative list of non-cases could include: Siderca, Chi Mei, Suez-Environment, Formula One, Oulmers, BIC Deutschland, Balog or Van der Weerd. [Additional suggestions would be welcome]. Today we’ll start with Hynix (Rambus), a case in which the hearing was scheduled for 2 July but that was withdrawn a few days ago following a settlement. The Judgment that will never come to light in this case would have constituted a most important precedent in relation to some important general enforcement issues, as well as in relation to an eventual judicial review of the current investigations concerning Google or Samsung. In 2002 Hynix filed a complaint alleging that Rambus had engaged in deceptive conduct in a standard setting procedure in relation to DRAM chips by not disclosing the existence of the patents and patent applications which it later claimed were relevant to the adopted standard, and that it had later charged excessive royalties for the use of those patents (i.e. royalties higher than those that it would have been able to claim had it not engaged in deceptive conduct). 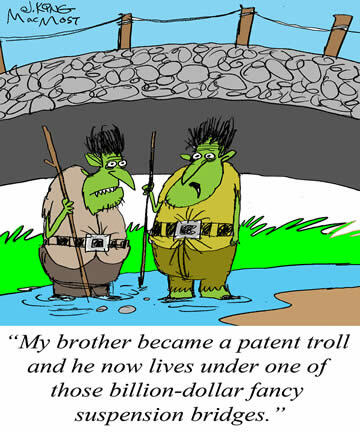 This is what is generally referred to as “patent ambush”. The case was interesting because the deceptive conduct at issue had made Rambus acquire dominance (it preceded dominance), and the charging of high royalties could be regarded as the natural consequence of such dominance. Given that EU law does not target “monopolization” practices (those use to achieve dominance), the Commission had attempted to close this enforcement gap by targeting exploitative pricing under Art. 102 under the argument that dominance had been unlawfully attained. This was a brave and controversial move on the part of the Commission. On 27 July 2007 the Commission adopted a statement of objections setting out its concerns. Rambus responded to the SO and a hearing was held. Almost two years later, however, Rambus submitted preliminary commitments, those were later market-tested, revised, and eventually made binding on December 2009 (in a nutshell, Rambus committed (i) not to charge royalties for the two standards adopted while Rambus engaged in the deceptive conduct; (ii) to set a maximum royalty of 1,5% for the later generation of standards and to offer thus maximum rate to all market participants). (Note that the commitments concerned only future payments, not those already made). As you know, in a case like this (or in a case like Google’s), once the Commission accepts commitments it must (a) adopt an Article 9 decision making them binding; and (b) adopt a decision rejecting any complaints stating that there are no longer grounds for action. Hynix appealed both of these decisions. In essence, Hynix argued that the Commission violated Article 9 of Regulation 1/2003 by choosing the procedure envisaged in that article where its concerns related to a serious violation of Art. 102. In its SO, the Commission had envisaged a finding that the charging by Rambus of capped royalties is incompatible with Article 102 (82 back then). However, the corollary of the commitment decision was to make royalty caps binding, thus endorsing their legality. What constitutes an abusive practice with respect to standardization, in particular so far as concerns patent ambushing? Were commitments in the form of future royalty caps sufficient to eradicate the competitive problems found by the Commission? What guiding principles (beyond Alrosa) are to be taken into account when assessing the appropriateness and adequacy of commitments? Can the Commission address what it had perceived as a serious violation by means of a commitments decision? In that context, may the Commission adopt remedies which are only prospective in nature? Is the Commission entitled to have recourse to a commitment (Article 9) decision after having adopted a Statement of Objections? And in this case, can a Statement of Objections be considered as a valid “preliminary assessment” for the purposes of Art. 9 of Regulation 1/2003?